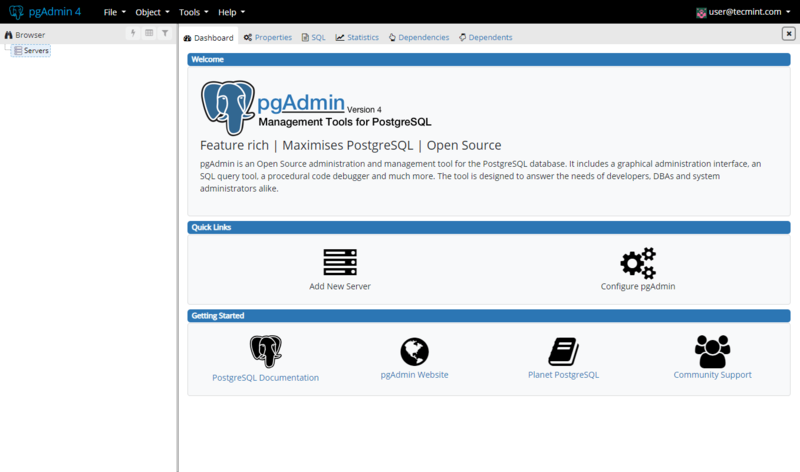 PgAdmin4 is a easy to use web interface for managing PostgreSQL databases. It can be used on multiple platforms such as Linux, Windows and Mac OS X. In pgAdmin 4 there is migration from bootstrap 3 to bootstrap 4. 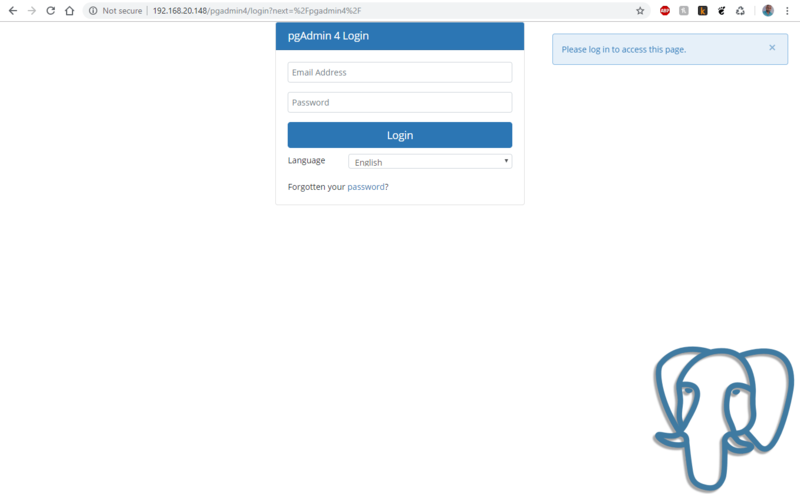 In this tutorial we are going to install pgAdmin 4 on a CentOS 7 system. Note: This tutorial assumes that you already have PostgreSQL 9.2 or above installed on your CentOS 7. For instructions how to install it, you can follow our guide: How to install PostgreSQL 10 on CentOS and Fedora. During the installation, due to dependencies, the following two will be installed as well – pgadmin4-web and httpd web server. And then we can extend the contents of our config_distro.py. 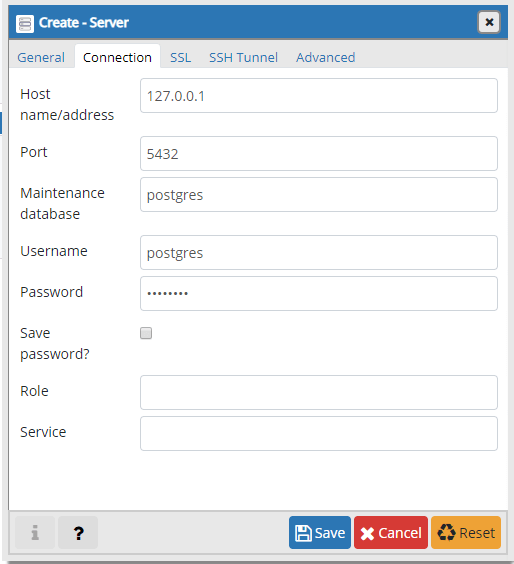 Name – give name of the server you are configuring. Comment – leave a comment to give description of the instance. 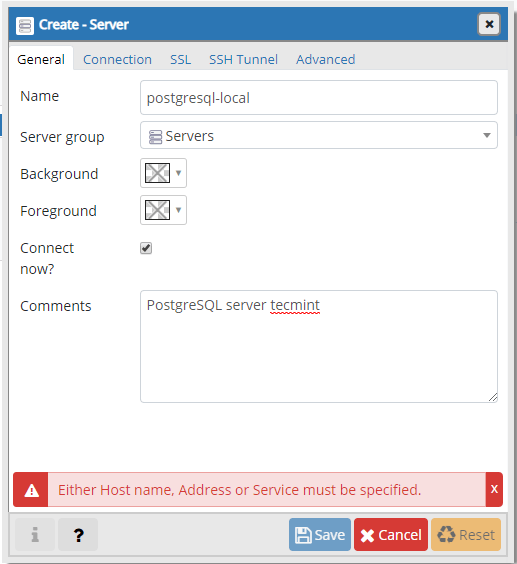 Host – host/IP address of the PostgreSQL instance. Port – default port is 5432. Maintenance database – this should be postgres. Username – the username which will be connecting. You can use postgres user. Password – password for the above user. This was it. 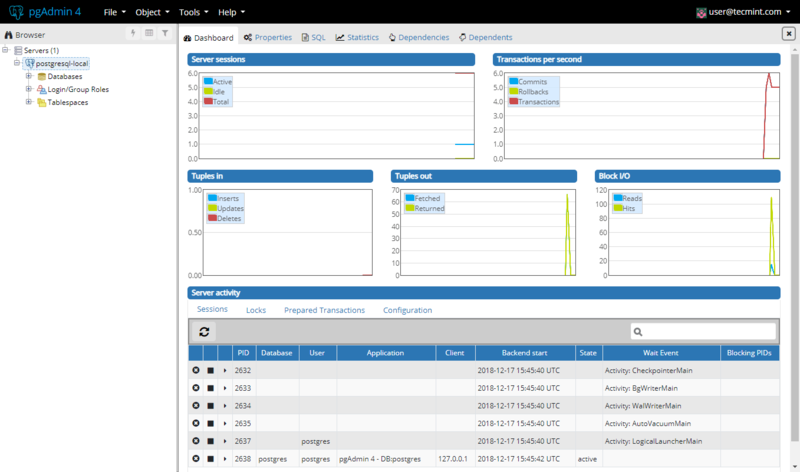 Your pgAdmin4 installation is complete and you can start managing your PostgreSQL database.